Our high quality semi-automatic bag filling machines have a deposit range of up to 5,000ml per cycle, and accurately fill / clipper tie large plastic bags. They provide damage free and highly precise depositing of hot or cold liquid, semi-liquid and suspended solid products. 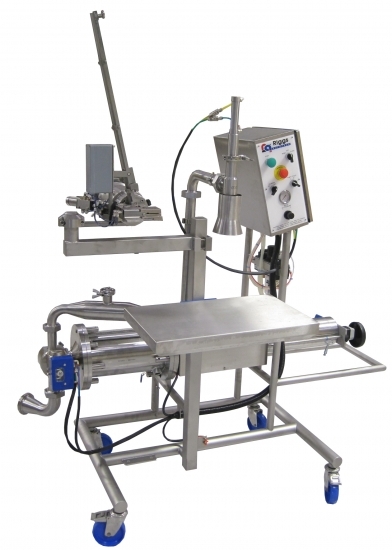 These depositors can be linked direct to cooking kettles / holding tanks and supplied with a choice of depositing nozzle to suit, optional heat guard shroud, multi-cycle counters, foot pedal and height adjustable filling table.